In the near future, fifteen-year-old “Tar” Hutchins is a fixer. He can repair technology just by touching it. That’s a dangerous thing to be in a world after The Crash, an event that left millions dead or little more than empty, mindless shells. In the aftermath, a new regime hunts down technology and destroys machines with ruthless zeal, even executing fixers like Tar. And Tar has caught their attention. Can a teenager, even a gifted one like Tar, hope to survive — much less be victorious — when an entire government is deadset against him? 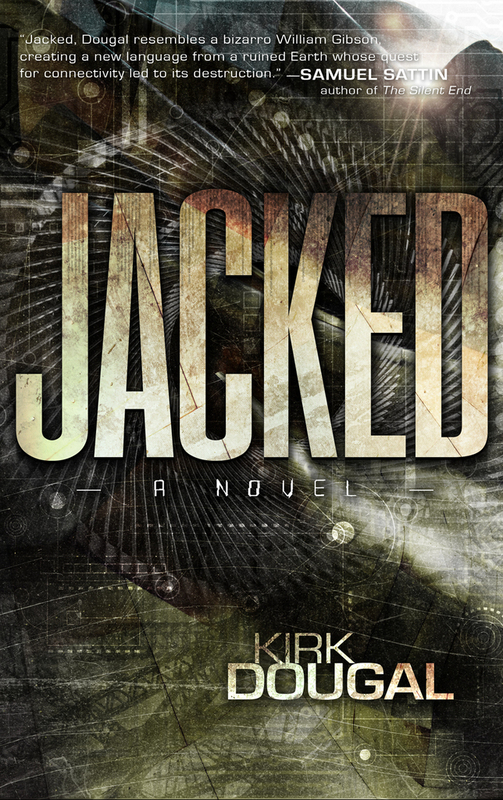 Jacked is the story of Taro “Tar” Hutchins, a teenager trying to eke out an existence in a post-technological world. Tar was born shortly after The Crash, as the destruction of the World Wide Mind has come to be known, and which was an event that destroyed the majority of Earthy’s technology, and left the majority of the population either dead or a brain dead husk. Into this power vacuum emerged a new political force, the Black Shirts, a quasi-religious order of luddites convinced that the destruction of all technology, and those that relied upon it, was God’s will. Needless to say Tar’s life is complicated. Making matters worse is the fact that he’s a “fixer,” someone who can fix technology simply by touching it, and someone that the Black Shirts will hunt down at all costs. Tar is forced to go on the run, desperately trying to find other fixers, while simultaneously getting to the bottom of what destroyed the World Wide Mind. Jacked is an admirable YA attempt to follow in the footsteps of some of cyberpunks all time greats. As a sucker for the genre it’s easy to see how the author was influenced by the Stephenson’s and Gibson’s of the world. Once the plot gets moving it rolls along at a nice clip, with plenty of taut action and heroics as Tar and his friends go on the run from the Black Shirts and try to find a way to put the world back together. Characterization is light, but things move along at such a good pace that it’s easy not to notice. 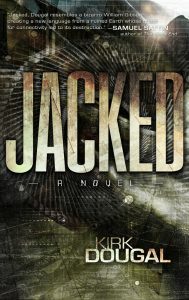 While the plot of Jacked is quite entertaining, the narrative does occasionally get bogged down with post-crash dialect. Characters don’t die, they go “hard boot.” The Black Shirts aren’t searching for Tar and his friends, they’re “pinging” them. While a little dialect can add some nice spice to the proceedings, when it’s every third word it can be downright distracting. All in all Jacked isn’t a bad YA introduction to the cyberpunk genre. It has a fun story that zips along at a good clip, that, unfortunately doesn’t quite stick the landing. Two WiFi bars out of five.